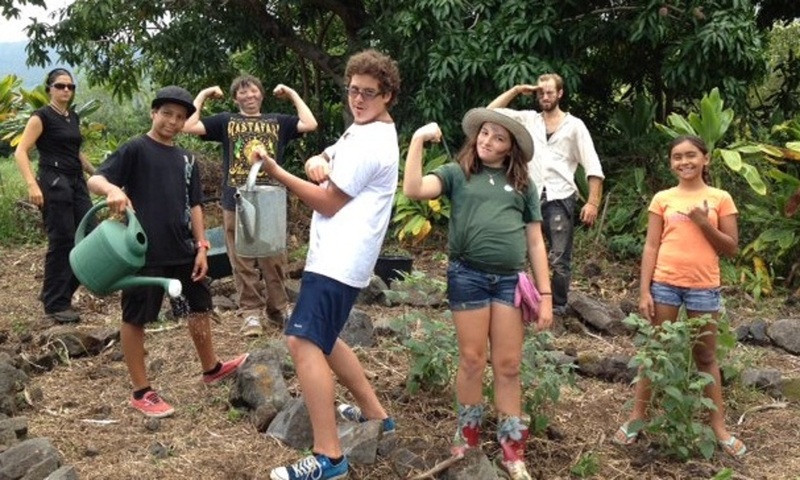 You are invited to join a non-profit organization with a mission to educate our Hawaii Island community about sustainable living tools and opportunities. One Island offers workshops, field trips, local foods and meet-your-farmer special events, renewable energy programs, youth camps, wellness retreats, concerts, art exhibits, and green living festivals to enrich our lives by bringing inspiring expert teachers, resources and tools to the community. We aso host online learning resources and events for participants anywhere in the world. If you support positive change as an integral step towards facing and solving our pressing social, environmental and economic challenges, we invite you to ‘grab a paddle’ and become a supporter of One Island as a voyager who understands ‘We are all in the Same Canoe’. Same Canoe Paddlers, Navigators, and Builders receive priority invitations to special events, a monthly newsletter, discounts on activities, membership in our Buying Club, and the reassurance of knowing we are, together, intentionally launching ongoing community service programs to benefit people from all walks of life, abilities and needs. Paddler annual membership provides 10% discount on workshops, field trips and access to Buying Club savings. Watch for special offers where new members receive one free entry ticket to our workshops or events. Navigator annual membership provides Paddler-level features plus 2 free passes to special events (i.e. Chocolate Chocolate tasting, Wellness Fair etc.). Current Campaign: We are raising funds to equip a mobile farm stand bus to tour local schools, senior programs, community events, and farmers’ markets. This bus is similar to the new design for our ‘Get on the Local Food Bus’ campaign. Canoe Builder donors are invited to support specific local food system, renewable energy, natural resource, health and wellness, youth and family, or arts and culture programs. Can be combined with membership above as a tax deductible donation. First $50 is a membership fee; remainder is a donation as allowed by federal regulations. Or specify any amount below as a donation – Mahalo! We are all in the same canoe, so why not grab a paddle and become part of the sustainability solution? It’s EMPOWERING!